Learn when it’s time to replace your bedding accessories. 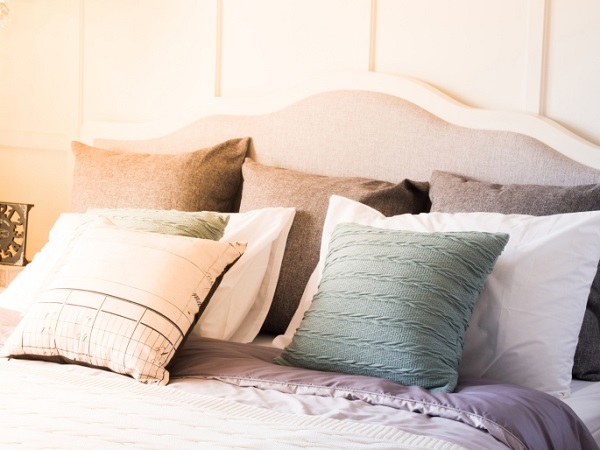 In addition to replacing your mattress, there also comes a time when you must replace your bedding accessories such as pillows, sheets, and mattress protectors. It can be easy to overlook these items and keep them around for too long. Continue reading for a guide of when to replace your bedding accessories with new and clean versions to ensure you get the best night sleep possible! Many of us have our favorite pillow and don’t think about buying a new one. However, sleeping on the same pillow every night for years is not only unhygienic, but it can cause lose it’s firmness and not support your neck properly. Pillows should be replaced every two to three years, or when you feel as though they are no longer supporting your neck. If you wake up with painful aches and pains, purchase a new pillow with more support, and you may be surprised with the results! Mattress protectors are an essential bedding accessory, as they help to prevent stains on your mattress, as well as help to reduce the number of allergens and dust mites in your mattress. If you notice any holes or worn out spots in your mattress protector, it’s time to make a change and purchase a new one. Holes in the protector result in less protection from allergens, which can effect your quality of sleep. You know how important it is to wash your sheets frequently, but there comes a time when your sheets should be thrown out and replaced. If you’ve had your sheets for a few years and notice stains, frayed hems, and color fading, toss them out and treat yourself to a nice new set. The higher the quality of sheets, the longer they last, so it’s a good idea to spend a little extra money and invest in your bed sheets. Since you sleep on them every night, you want quality sheets that are breathable, comfortable, and hygienic! At All American Mattress, we have the expertise and great prices to help you choose the perfect pillows and foam mattress for your bedroom. We have mattresses and bed frames available made from a variety of materials to suit your needs, whatever they are. Stop by our showroom, visit us online, or give us a call at (410) 451-9006 to see how we can get your toddler sleeping through the night. We offer brand names at affordable prices, and we will always work hard to keep your whole family comfortable. For more mattress shopping tips, be sure to follow us on Facebook, Twitter, Pinterest, and Google+. This entry was posted on Friday, November 30th, 2018	at 9:33 pm	and is filed under Sleep Tips	. You can follow any responses to this entry through the RSS 2.0	feed. Both comments and pings are currently closed. Why Do I Feel So Tired In Spring?